You’ve probably had it with being reminded about how important mobile is. 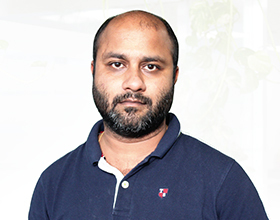 Then why aren’t you employing mobile engagement strategies? 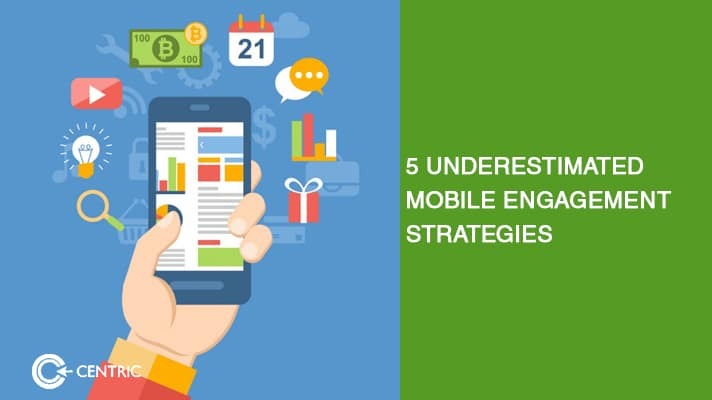 Following up in our wildly popular content series on underdog tactics, here are the five mobile engagement strategies that the market of planners underestimates. I should note the obvious before proceeding. Should everyone employ the mentioned tactics, they will gradually lose their effectiveness over time due to the customer clutter that forms over a period of time. So in part, the reason these seldom used tactics are working for us could be attributed to the fact that they are .. well .. seldom used. We have talked about location-based search marketing before and implore business owners to take it seriously. Studies show that within 24 hours of searching for a service, the one’s visible on a digital map experience physical visits. This is particularly important in the MENA region, as tourists are glued to their smart devices and rely on reviews to guide their purchase justification. With mobile engagement strategies filtered within location-based search marketing, you can send messages to prospective customers once their device crosses over with a beacon you have placed in locations from which your outlet is easy to spot. The same can be done when someone is leaving after shopping. There’s more than one. So look into how relevant cross-channel promotions are for your business. Allow your message to follow the prospective customer across their digital journey on social and email with mobile display ads. Look into in-store advertising as cited above. Not everyone converts the same way, so having a presence across the fold goes a long way. Build custom audiences on Facebook for targeting across Instagram and WhatsApp for starters. Once you get the hang of it, explore more platforms such as Snapchat and Tagxit. The focus of your messaging should be to raise awareness, build credibility and also build on conversion optimization. Mobile engagement strategies differ from their counterparts, such that emails require a continuation with mobile ads and push notifications. They should be to the point and personalized for the prospect., with messaging kept crisp to promote an offer or serve as a reminder for a deal. Once your prospect has entered the store, employ in-store marketing across their line of sight. This can mean the in-aisle signs, above the door banners, and color schemes that direct the path to purchase. This is the third time I am citing something mentioned above but hear (read) me out. Push notifications are at the core of reminding users to return to an app. The challenge comes from finding the right frequency and pull message. Map out the messages for once a week to all new users for their first 90 days on the app. After that, they should return on their own. The cheapest option, and the one you are likely most familiar with. Social media channels are an effective route to engage with your fans, spark conversations and retarget prospects who have shown an interest in the past. Exploit the cross targeting options on Pinterest, Instagram, Facebook and Twitter for more bang for your buck. Facebook’s Canvas ads are awesome in this regard, serving interactive ads that can be swiped through to narrate a story. Depending on the type of app, you can segment your ads by device type or device brand as well. It’s simple, gamify the experience and activate the endorphins in your customer’s brain by rewarding the behavior you seek. Classic case of Pavlov’s theory but this time there are coupons, discounts, backstage access cards, content exclusive access codes and more on the other side of the campaign. Create a sense of urgency to drive footfall on mobile coupons and discounts. We use Snapchat for our more show-off oriented clients in the beauty and cosmetics sector, with the Snaps serving as limited time digital coupons that must be scanned and availed in store. As mentioned above in “Channels” prevent dissonance by optioning the user to engage on the channel of preference to avail the reward of their choice.